The St. Lawrence River and the Gulf of St. Lawrence have long been crucial waterways connecting central Canada to the Maritimes and Europe. In the Second World War, German submarines threatened this vital supply line, especially in late summer 1942. This was the year from hell for the Royal Canadian Navy. Although America’s entry into the war would eventually help the Allies achieve total victory it added further burdens to an already stretched fleet. Early accounts of the war in the St. Lawrence described an embarrassing Canadian defeat. In February 1972, The Canadian Magazine published an article describing it as “The Second World War battle we lost at home” and “the war story our leaders kept quiet”. Thirty years of research has shown that nothing could be further from the truth. The Royal Canadian Navy and Royal Canadian Air Force mounted a successful defence despite restrictions imposed on two growing services locked in a global war. Furthermore, Prime Minister Mackenzie King’s government shared losses openly in order to galvanize support for their wartime policies. The Battle of the St. Lawrence was the only battle of the 20th century to take place in Canadian boundaries. Furthermore, it was the only Second World War campaign totally under Canadian control. 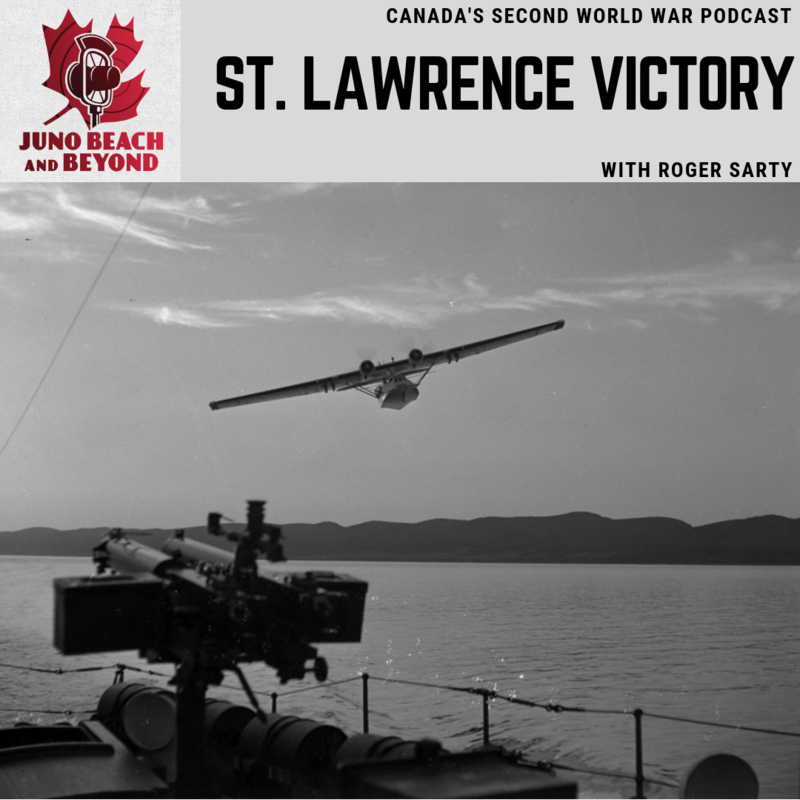 As our guest, Roger Sarty, notes, the campaign was crucial to supplying Britain and the Allied forces poised for the liberation of northwest Europe. Support Canada’s Juno75 Commemorative Campaign! Consolidated Canso or Catalina flying boat from the after deck of a Fairmile, showing the vessel’s twin .50 calibre machine guns and depth charges, at Gaspé, June 1943 (LAC, e010859223). Roger Sarty is professor of naval, military, and Canadian history at Wilfrid Laurier University. In the 1980s and 1990s, he worked on the official histories of the Royal Canadian Air Force and Royal Canadian Navy as an historian at the Department of National Defence. In the early 2000s, he played a managing role in the redesign of the current Canadian War Museum in Ottawa.